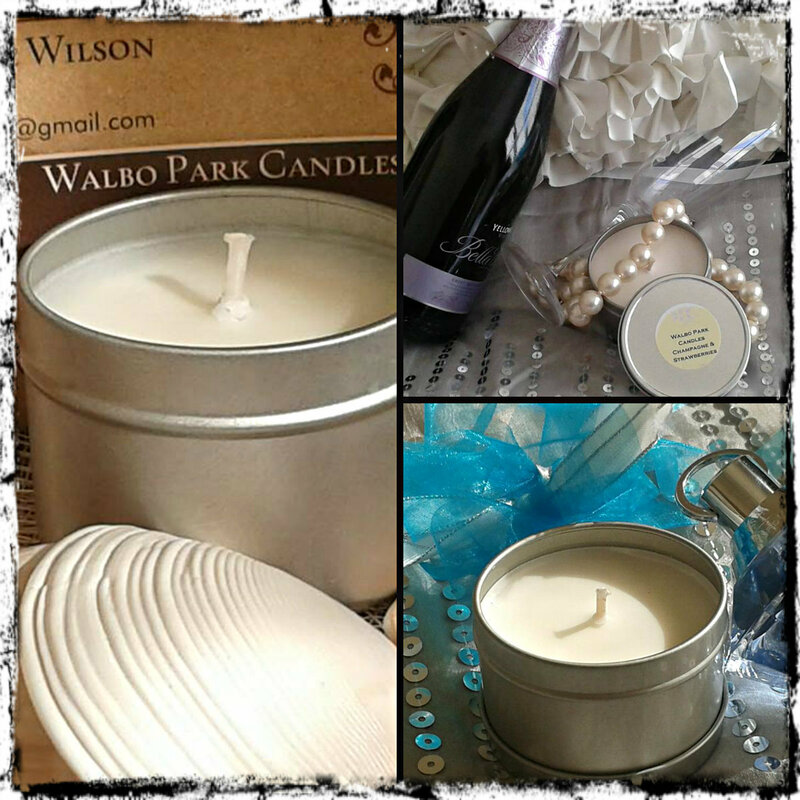 Images courtesy of Katandra Event page on FB unless otherwise mentioned. 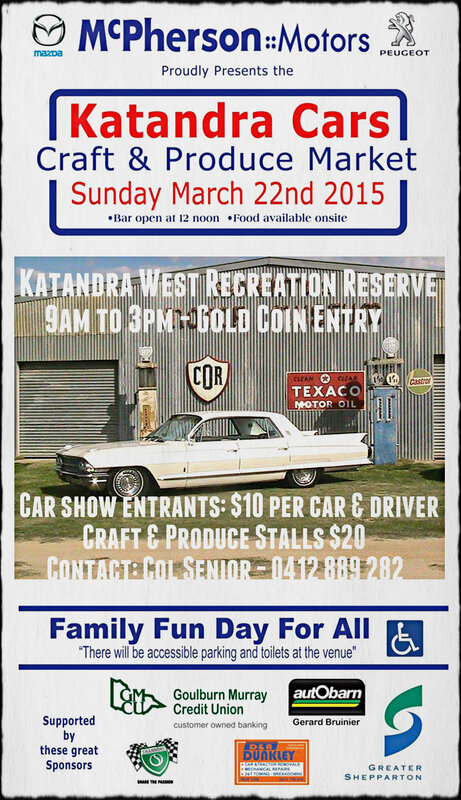 A twenty minute drive north of Shepparton in North East Victoria, Katandra West is about to have their annual event on Sunday 22 March 2015 from 9am to 3pm. 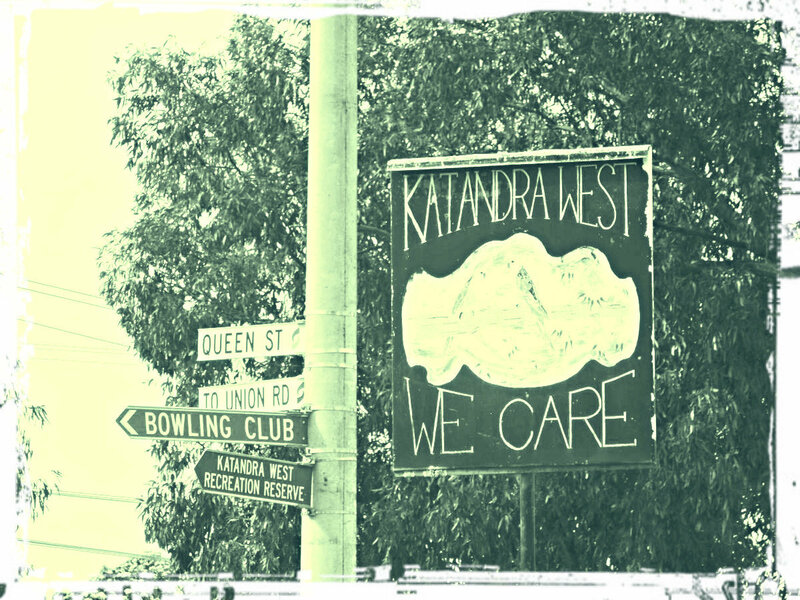 Entry to the Katandra West Recreation Reserve (Football Grounds) where the event is being held is by gold coin donation. If you happen to be a car show entrant it'll be $10 per car and driver. Contact Col Senior on 0412 889 282 or email granttam2.mclarty@bigpond.com for any queries. 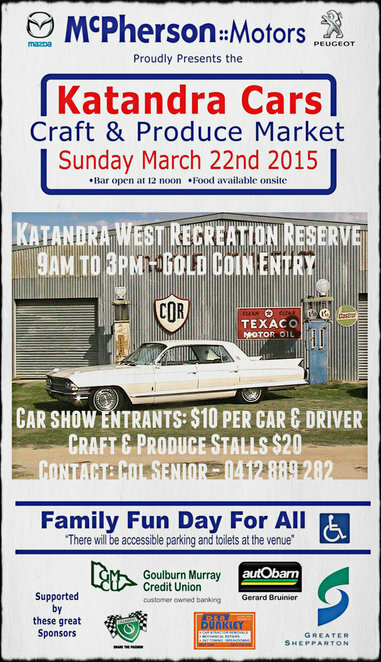 The Katandra Car show has been ongoing for the last 3 years, starting from humble beginnings of around 20 cars, this event has seen over 100 cars enter the car show. Each year is different and the end result of how many cars are going to be in the competition does not generally reveal itself until the day of the event. Last year was the first year the market joined this event and there'll be around 25 stalls this year showcasing a lot of wares from local creatives. The children are well thought of with quite a few free activities to keep them busy and happy. There's face painting, craft activity table, free jumping castle, and yes, yabbie races. There'll also be a bucking bull ride that will suit both young-uns and adults alike. There'll be no shortage of entertainment either with entertainers freely donating their time for the success of this annual event. 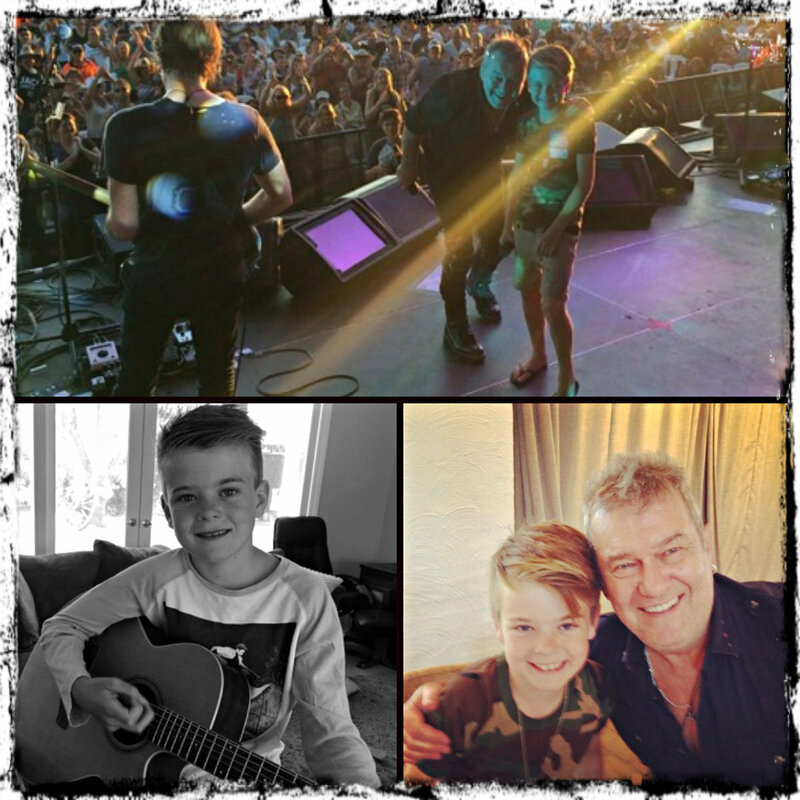 Young 12 year old Bodhi Hawken, who won a competition to sing with the iconic Jimmy Barnes at 'A Day on the Green', will be traveling from Kyabram to perform at this event around 10.30am. Muso Grant Hicks will also be performing on the day at 1pm. A seasoned musician of 10 years from Mooroopna and a teacher by day, he performs at weddings, engagements, parties or any event you can think of. 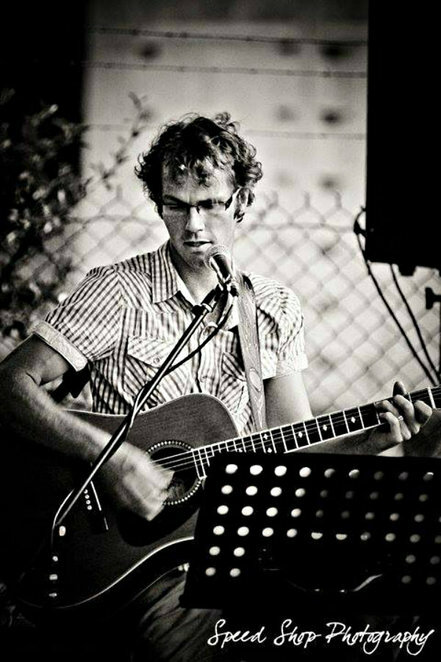 If you need some 'live' music on the day of your special event, check Grant out and give him a call on 0401 902 099. Currently he's been performing at the Pepper Mill in Kialla and the Tatura Pub in Tatura. Last but not least, the third performer for the day volunteering his time is Glenn Doyle, who will be exercising his vocals at 9.30am, so be there early to catch him. Having been a muso all his life, Glenn has been performing professionally for the last 4 or 5 years. He recently performed for charity at Tungamah and a couple of years ago was invited to go to Tamworth as one of his songs was nominated for a song writer's award, which is an honour indeed. 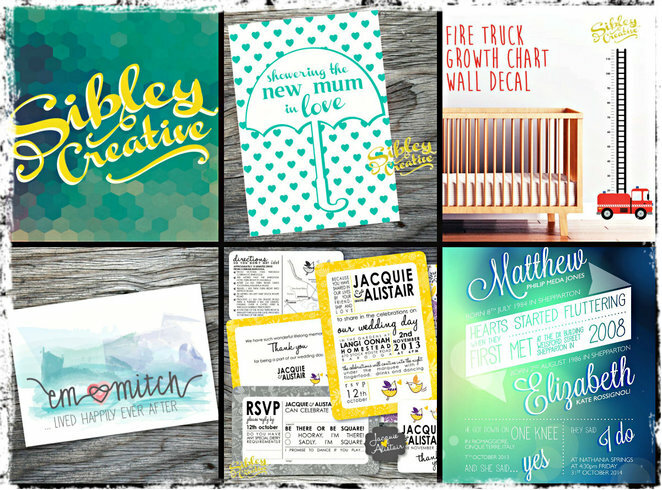 Glenn is also available for weddings, parties and more and you can give him a call on (03) 5828 3262. Trophy presentations for the car show will be at 12.30pm and further below a list of some of the activities and stalls for you to enjoy on the day. Local school having a 'chocolate stand' with chocolate you can win by successfully throwing a coin that lands on the packet. Take advantage of the day to enjoy this annual celebration as there's only 2 weeks in a year that Katandra can put on this event, the rest of the time being taken up by the footy and the cricket in this sport strong community.